Right at the start, I’m going to say a massive “Thank You” to all the organisers, volunteers, marshals, partners and Mountain Rescue team that supported this race as well as the supporters and competitors that made the event what it is. The time and effort that goes into the build up and break down to any event is pretty tough, but in the winter, in the forest with the wet and cold that we had in the week before the tough conditions were lost on us, the runners. As Coed y Brenin is a trail centre that has a history in making great quality experiences for bikers, it is amazing to see the growth of trail running right here on my doorstep. 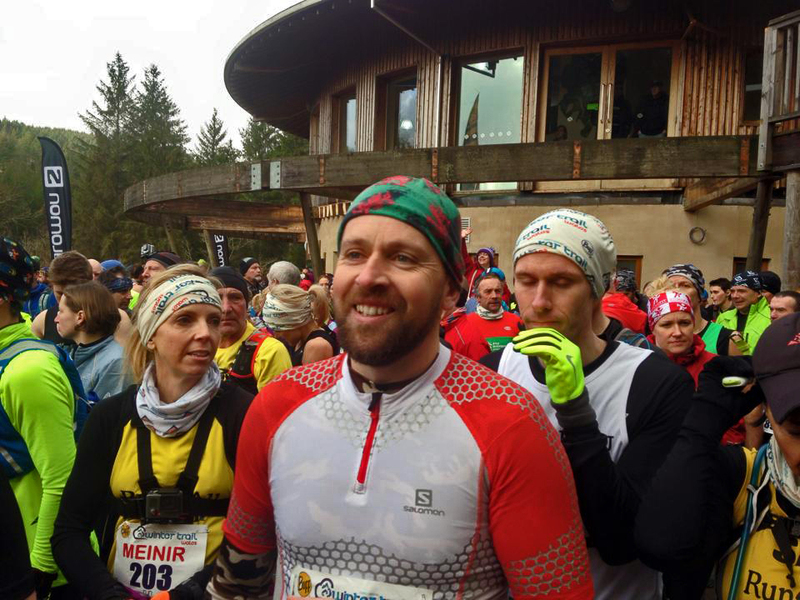 Despite many many passionate runners in the area, it is the vision of one man (Matt Ward) and a whole gang of helpers and partners that is putting Coed y Brenin on the map for trail running. 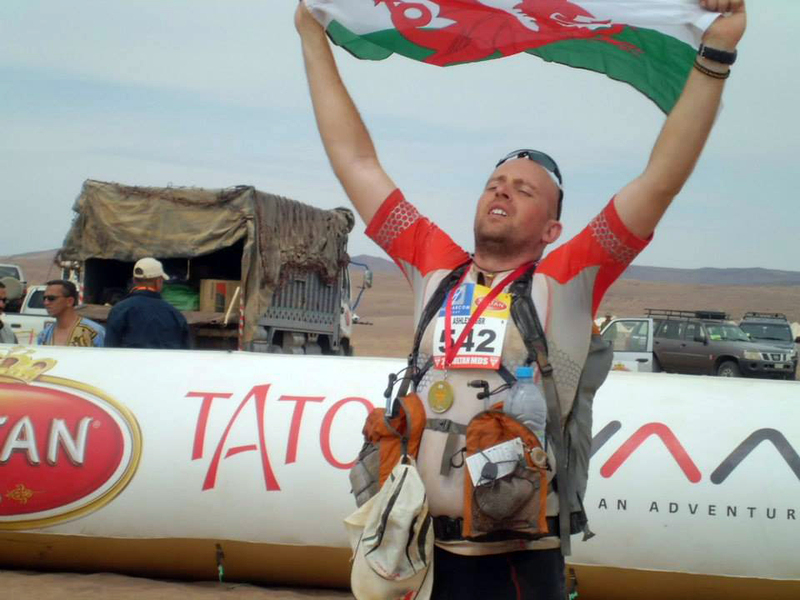 Trail Marathon Wales came to town for the first time in 2012, since then we now have 4 waymarked courses as well as a nearly endless supply of trails to explore and put together. 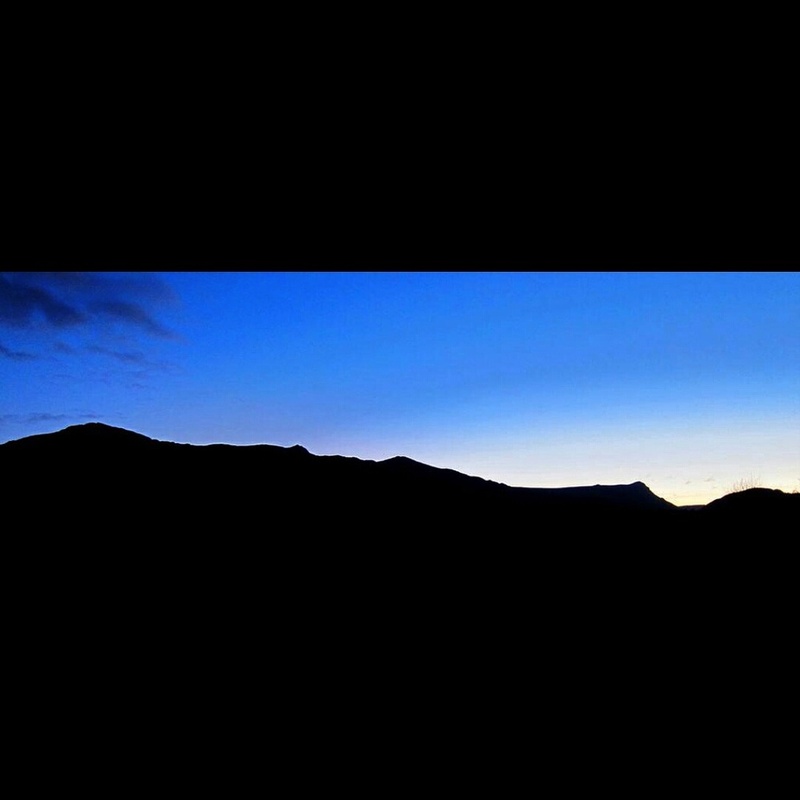 We also have a really visionary running shop, Run.Coed y Brenin complete with the ability to demo trail running shoes out on the trails. If running off road is your thing, then just like if you’re a mountain biker, Coed y Brenin should drop on to your list of places to visit. So that’s the location, about the race! Well, it is the same half marathon course that is used in the summer, only in winter conditions. 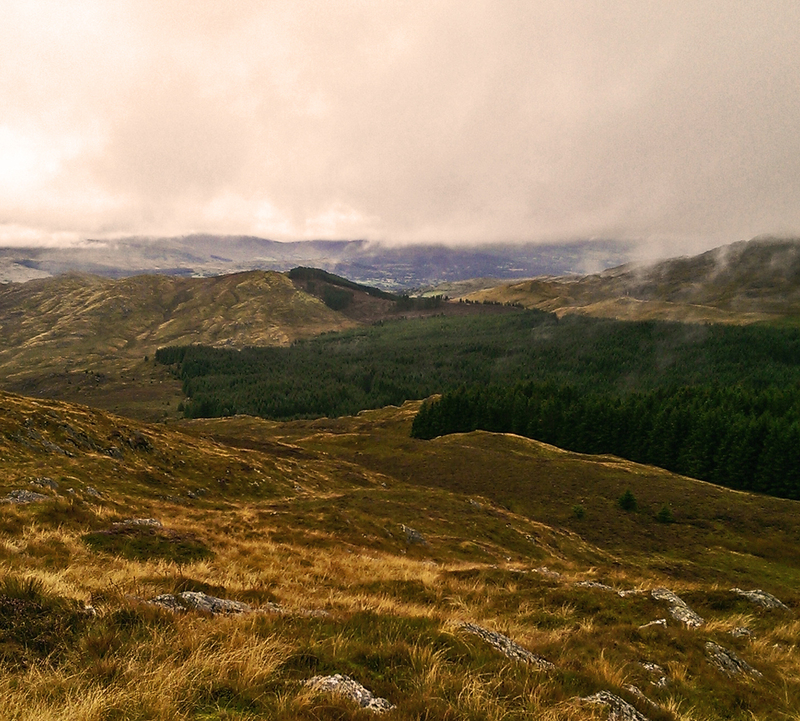 21.1km of hilly, woody goodness – views, single track, climbs, descents and the wild atmosphere of Coed y Brenin. With an entry list of 400 that filled up really quickly, the visitor centre was humming from early on. Loads of familiar faces from all sorts of running, whether road, fell or ultra it was great to catch up with all the different personalities. I’d set myself a goal of 1 hr 50 for this, and had been working on my hill form in the lead up to the event. I’d had a rattly lung infection just after New Year and this had stopped me feeling fully confident in my preparation. But, in terms of other goals in the year this was to be a benchmark to build on with my other races in the year. The start-line is beneath the visitor centre, meaning that the route takes you straight up between the centre buildings before turning onto the trail through the main trailhead. Because this bit of trail is a little hourglass shaped it is good to be patient. So I picked my normal startline spot, about half way back in the pack. And just mooched off. There is always a rush, and I was planning on pacing myself nice and steady. As is nearly always the case, I started picking people off on the uphill, before them coming back at me on the flat. But, again I either do well on slightly rougher ground, or on a climb. I think I may need to try going out a little harder. But. as this was only my second ever half marathon event, I’m still only learning the tactics. I settled back into a steady climb pace for the whole of the trip up Sarn Helen. This next section then becomes an undulating fire road that works it’s way across the back of Cefn Deuddwr before the long drop to the “aerial bridge” over the Mawddach. On this descent, it was noticeable that I was catching runners in front, and I need to focus even more on my downhill pace. It was in this part of the race that I ran my fastest event mile (6:09). Then a quick diversion to the waymarkings for the half marathon and up the steep little muddy climb on the Goldrush route before nipping off along the lovely descent of the old Karrimor trail. I’d shot this short video in poor light on this section before, and as good as the trail is, I couldn’t use my local knowledge here as I was stuck in a row of runners. Popping out onto the fire road at the bottom to Metallica – “Enter the Sandman” could mean only one thing, local running legend Ifs Richards must be the marshal here, and it was! From here is the longest sustained climb on the course, up through the halfway point. I knew I wanted to run this bit well, and I picked up a good 10 places along here. Through the first feed station, and stuck to my plan to take nothing here. A quick zip down through the trees to the Afon Wen, a guy having a heavy tumble crossing the mountain bike trail, and then the fire road back towards Tyn y Groes. This section I can definitely run faster than I did, and I think this is where my downhilling needs a bit of work. The transition back to the flat took me a little while to get momentum again, and whilst I din’t lose places I didn’t protect the gains on the previous climb. I love the section here from Penrhos over to the banks of the Mawddach and I had enough space to enjoy it. At this next (and last feed station) I took on a gel and some electrolyte and got on with the fire road run up to the bailey bridge. Some stern, but very welcome encouragement from Hilary sent me up “sting in the tail”, I pulled to one side to let a runner go by, let him go in front, before passing him back when his legs gave up. I made good progress to the switchback and then had to settle for a quick walk to get to the top. Just not quite enough power (or too much weight!) to see this one through at 18km. Then the undulating run and small climbs back towards Cefn Deuddwr before the little sharp descent back towards the finish. I caught a runner here, and was determined to pass him on the way into the finish, hoping that I would get him on the last rise to the line. Unfortunately he didn’t fancy giving way to easily and I finished on his shoulder after a good 80m push to the finish. The finish line was well organised with the friendly face of Es handing out the mugs and various finishers having a chat. All in all really good. I finished just outside my target time at 1:50:15 which gave me 54th overall and 20th in category. I’m pretty pleased with that. I know there are a few areas, especially in the opening quarter where I could make up a minute or two, and better mental preparation would help me in the last half as well. Job well done. 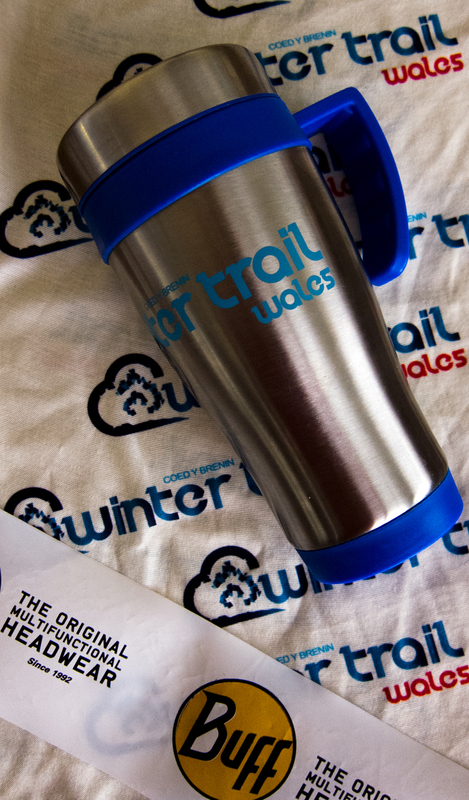 In summary then, the Buff Winter Trail Wales has, I think in it’s first year, built on the successful summer events in recent years. Great quality terrain, backed up by great facilities, put on by a high quality team who know exactly what they’re doing. A really fantastic addition to the events calendar in the UK. It was fantastic to be a part of the inaugural event, and I applaud Matt and his team for delivering the high standard, in year one, in the winter. Da iawn! 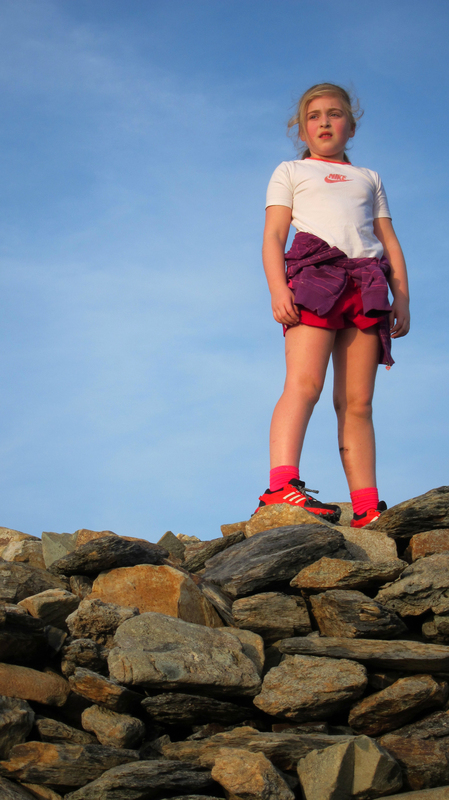 Ciara at the trailhead of the running trails at Coed y Brenin. 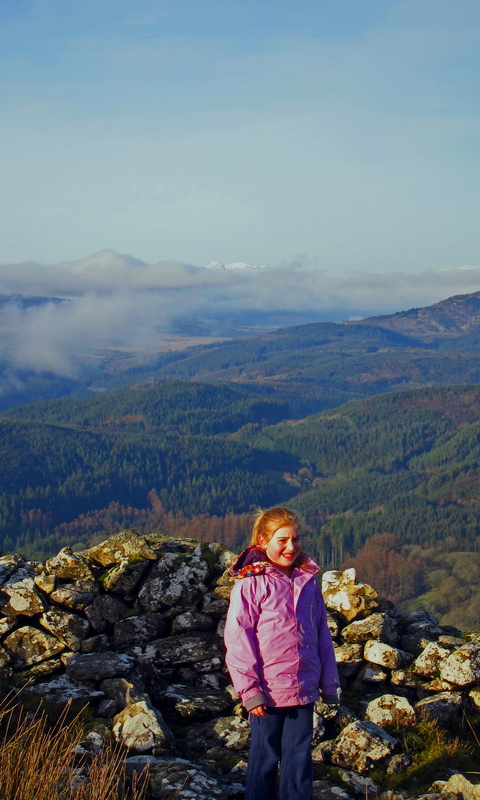 It was lovely that my daughter Ciara asked to go running with me as soon as I felt recovered, so we talked about heading back up to Coed y Brenin the following day. 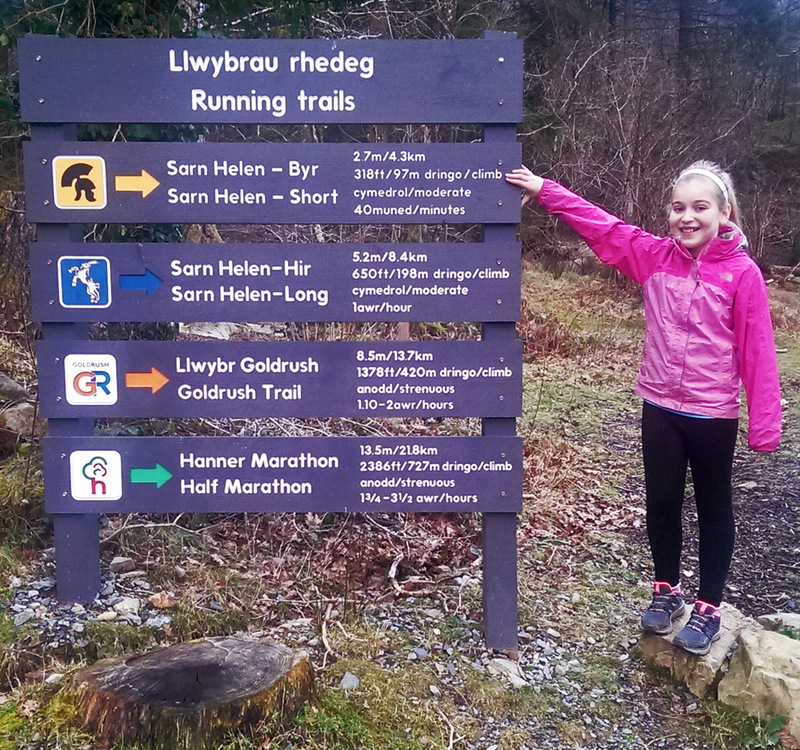 To say that I was super proud of her run/walking the 4.3km Sarn Helen – Byr route is an understatement. It was tough for her, but she plugged away at the various bits, and as always flew off down any descent. Seeing youngsters running downhill just for the love of it is lovely and it was great to be out in the woods the day after such a big event for the area. It was quiet, and peaceful again and sharing it with Ciara was a real honour. Moving quickly in the mountains is a pleasure, and that means packing light. As winter conditions arrive in Snowdonia there are always people who are not ready for the conditions they face – and they end up on BBC news, or worse, dead, or both. 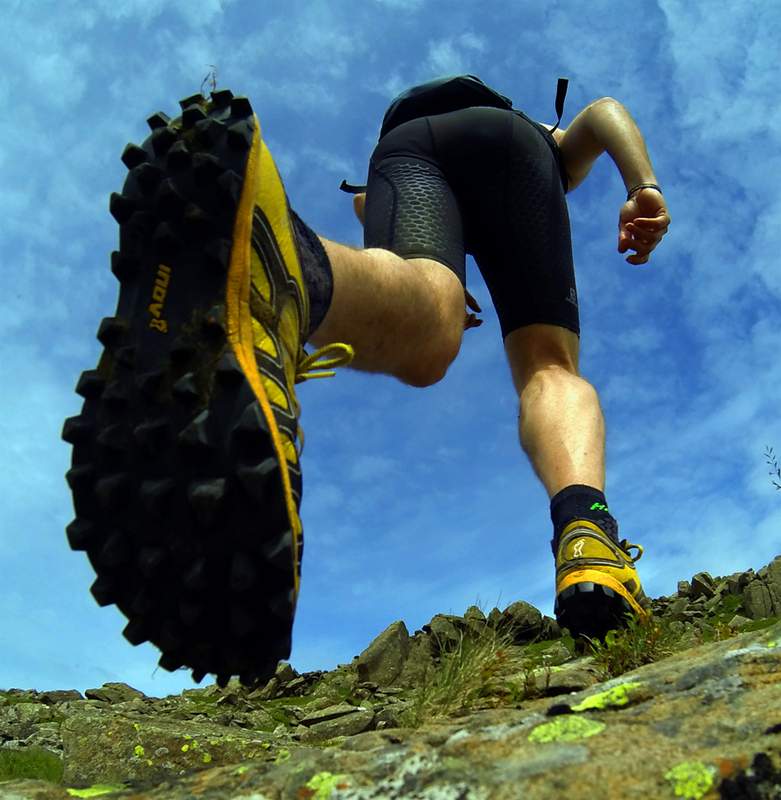 There is currently controversy about whether mountain running, especially big mountain running in tough conditions with light equipment is ok – some high profile runners like Kilian Jornet with big publicity machines are very visibly pushing what the understood limits are and what is thought to be possible in inspiring envionments. But those judgements aren’t being taken lightly or without a serious apprenticeship in the hills. Please don’t think that what I am saying is you should or shouldn’t run in the hills in winter conditions. I’m not. With the correct knowledge and judgement it is rewarding and largely controllable activity where the risk can be reduced to an acceptable level. Equally, this isn’t intended to be a “this is the right way or only way” type post. It is meant to give a few pointers to those who are thinking about making their first few steps into running in our wilder places during the winter months. For those that know more, or have a different point of view, please feel free to comment, so that can be incorporated too. I posted a picture of me on the top of Rhobell Fawr, in running gear, and it sparked a fair few private messages. I hope this post answers some of my thoughts. The most common question was how do you stay safe, what do you take? My answer is simple, knowledge. An accident in winter conditions escalates quickly because when travelling light, staying warm depends on being mobile. A sprained ankle is potentially lethal in remote locations, hypothermia the killer. Knowing the terrain is sensible, being able to navigate is mandatory. Knowing where safety is, and being able to get to it is really essential. Having some basic hill skills can make the difference between being uncomfortable, or a whole lot worse. What do I carry? As well as clothing for moving, (including hat, gloves and the right footwear for the day) I tend to pack an extra warm layer, and a base layer for my core. If needed, I’d make a judgement as to whether the layer I was wearing was wet enough to justify stripping it off, getting a dry one on next to the skin and re-dressing. A shell layer is essential, and full body cover makes a real difference when you’re forced to slow down. 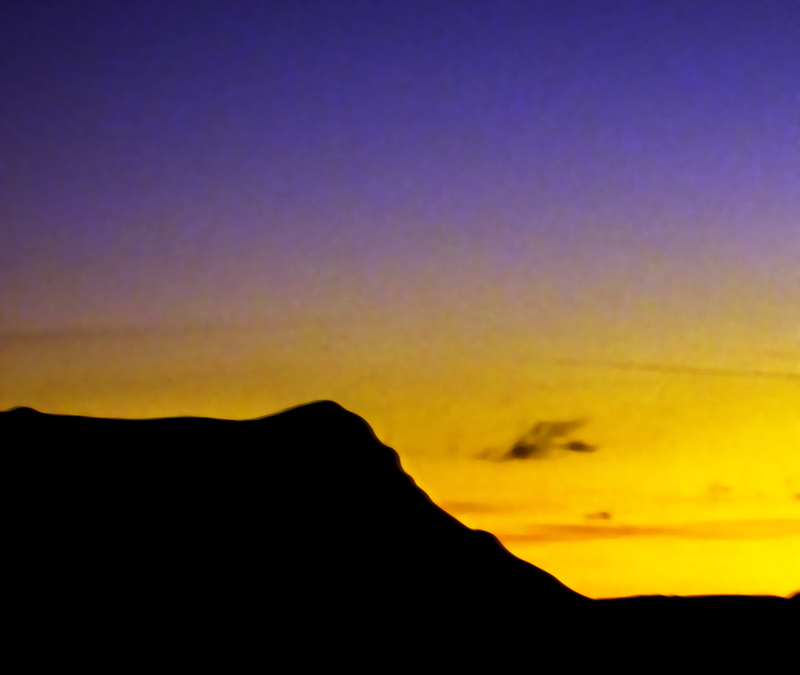 A headtorch is sensible on short winter days, even if you don’t plan to use it. Map and compass – should be second nature in wild areas. [EDITED to add feedback] It was pointed out by Janson Heath and ‘Forest’ Bethel that depending on how far aware from help you are, a sleeping bag, or highly insulating thermal layer (down or primaloft) are sensible additions. Additionally a long day might be made so much better with a lightweight cooker and some hot food. Like anything, there is no point carrying anything you don’t know how to use. I carry one more sweet snack than I need, as sometimes a quick sugar hit will help with decision making. I also carry my hill safety pack (295g) which carries a few things that I’m confident in using. It has a SOL emergency bivvy bag. My opinion is that blankets are a waste of time. When you need thermal protection, only getting in a bag, and being able to sort stuff out makes a difference. The SOL bag is a great, reusable bit of kit. I carry a Peperami, food and energy helps with making decisions, not essential but I like it! I carry one number 8 wound dressing, and a 10cm x 10cm low adherent pad. This is for the biggest wound I think I could cope with on my own. Most likely a rip on barb wire, or possibly a puncture wound on a fall. I also carry a 9cm x 6cm adhesive wound dressing to cover small lacerations. Whilst on the first aid theme I have a small kit, this has two steri strips, five normal plasters, three easy access plasters, some fabric strip plaster, 3 small pads (5cm x5cm). Narrow zinc oxide tape, 2 safety pins and 3 benzalkonium chloride antiseptic wipes and 4 panadol complete the first aid kit. I also carry a small lock knife with 2 m of paracord as a lanyard, a sharpie pen (will write on plastic) and a red light that has an SOS flash function. All this goes in a heavy duty double ziplock bag, to keep it dry. I also carry the knowledge of how to use those things, and a good deal of ability to improvise. I am aware that, in reality I am more likely to use the stuff on others, rather than me. If I can move then I’ll get to somewhere less exposed, this kit might just help in the situation where I can’t move. Knowing to get insulated, off the floor, out of the wind and ideally in somewhere visible seems obvious, but when did you practise it? Why not practise it? I’d suggest some time on the hill, or out in the wilds with a good friend in winter conditions. Try taking a rucksack with plenty of warm clothes. Stop for lunch in your running kit, note how long things take to change in your ability to function, physically and mentally. I look through my kit every couple of runs, check everything is dry and usable. I also practise my own skills. Use it or lose it is true, and when you need your skills to deal with a situation isn’t the time to practise. Carrying an ice axe and running crampons isn’t a discussion for here. Yes, they have a place, but due to the skill needed to use these in a running environment I’d suggest the potential number of competent users are limited. The chances of hurting yourself by having these with you increases dramatically, especially if inexperienced. If you are heading to terrain, or ground conditions that need these tools, then you must have practised extensively in a way that already provides you with the required knowledge. My feeling on this is, if you cannot arrest on a technical axe, from every orientation of fall, go run where there isn’t ice. If any of that doesn’t make sense to you then you shouldn’t be in that environment. When I’m running solo in hard conditions I remove an element of risk by going places where I know I can communicate with others. If I honestly thought to stay safe I would have to endanger the lives of Mountain Rescue volunteers, the only position I have is – don’t go there. But, in the eventuality that I have acted in a reasonable and educated way, the back up of emergency cover is silly not to take. THIS IS AN ABSOLUTE LAST RESORT. However, I have used a phone to give me an alternate, earlier finish point, where I have judged that continuing to plan would be silly. 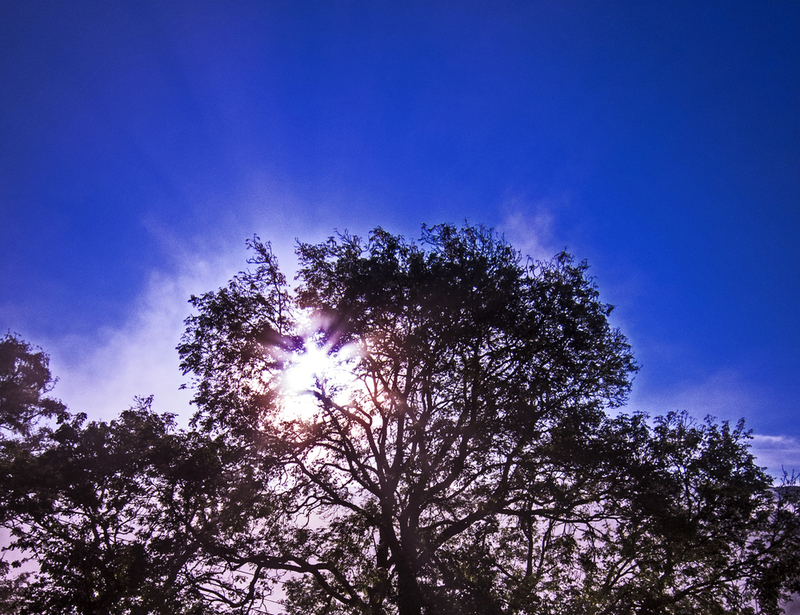 Use phones with discretion in the wild, they can be a useful tool, but not to be relied upon. Tell someone where you are going, how long you’ll be and check in with them. [EDIT to add comment from John Taylor] Remember that the international mountain distress signal is three blasts on a whistle, with a minute delay. 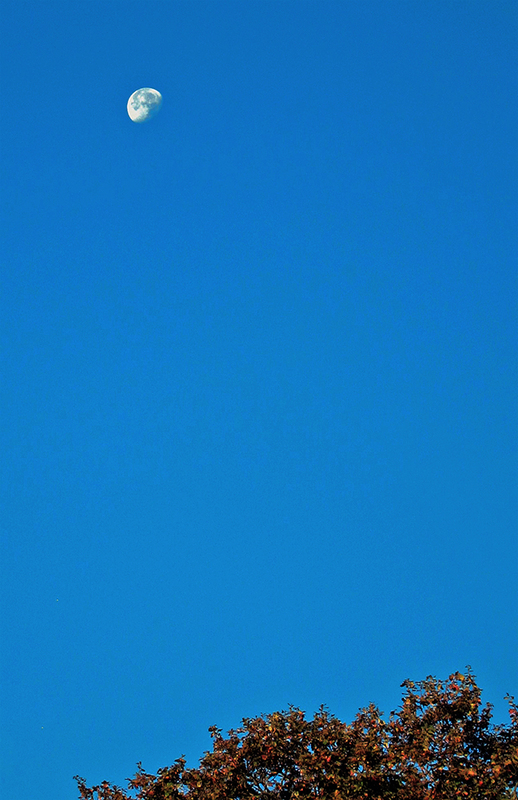 In the Alps and the UK this is six blasts, also with a minute delay. The reply from rescuers is three blasts in both cases. Before you add an extra whistle to your kit list it is worth checking your bag or headtorch to see if there is an integrated one already. You can learn skills a number of ways. Find a knowledgeable friend who will show you, or go on a course. But, practise, practise and practise again. Practise grows judgement, sound judgement brings safer adventures. So, there is no simple “buy this and pack it” advice from me. Exploring wild places is massively rewarding, and competent people make it look deceptively easy. You can, and should explore. You should do this from a position of knowledge. Know the limit of your ability, know the weather, know the ground conditions, know your kit, observe your surroundings, be prepared to change your plans to suit the conditions or changing conditions. Be prepared to cancel your trip and come back another day. Have fun, be safe, learn lots and don’t be the next to appear on The News. As the year changed Facebook got full of my year in review posts. I hope most peoples lives are more full than their social media feed! As this is mainly a running blog, looking back I can’t do justice to all the experiences that running has given me in 2014. 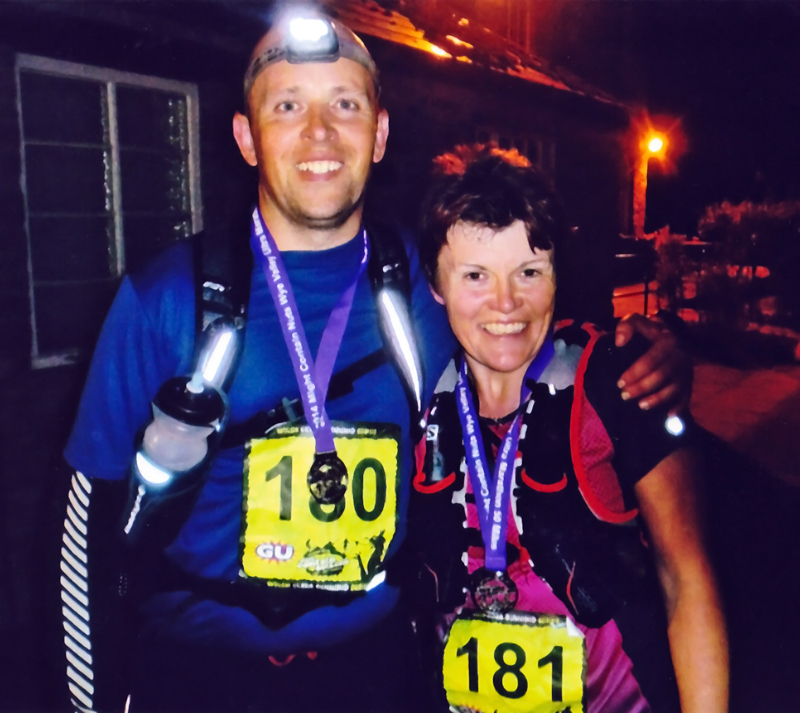 Marathon des Sables, Trail Marathon Wales, Wye one Way and OMM all taught me lots of different lessons. Critically they’ve left me with a lot of friends and memories that will last far in to my life. Looking forward this year, running wise I am entered for Winter Trail Wales, Hope 24, Trail Marathon Wales and Ring o Fire . Whilst not entered yet, I’m sure the OMM will make an appearance too. Personal targets rather than podiums are the aim, though I’m already planning something special for 2016. For those interested in statistics, Strava produce a little summary video that highlights some of the numbers. However, numbers don’t tell the story of 2014, certainly don’t describe some of the feelings and experiences I’ve had and those things that will motivate me for 2015. As with every year, I wish I’d taken more pictures, but here are some of my favourites from 2014. 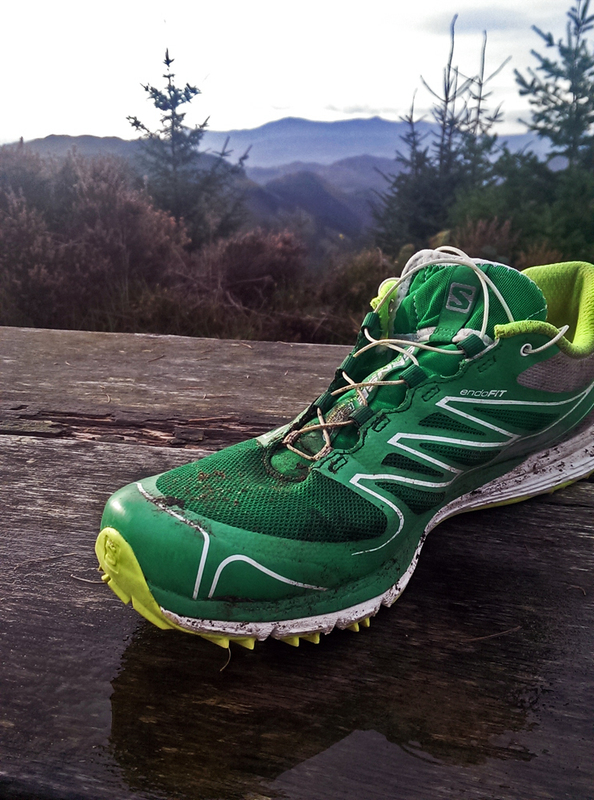 Have a great 2015, see you on the trail!